A low-energy home can be built anywhere, in any shape or form. Eco-building consultant and Managing Director of Casambiente, Johannes Hermel talks to TGD about the essentials and the philosophy behind "green architecture". What are the essential elements of a “sustainable house”? The first and most important thing is to get the insulation of the house right. The correct philosophy from my point of view is not to think in terms of: “How can we reduce the energy a house needs?” but rather: “How can we build a house that does not need energy?”. So when you build a house, the first thing to do is to insulate the walls, the roof and the floor … and the windows – they must be triple-glazed. If you want to achieve the “passive house” standard, you absolutely must have triple-glazed windows. Just imagine a house whose walls are super-insulated but the glass windows are not doing their job, then you have the problem of what is called a “thermal bridge” because the insulation is not continuous and heat loss occurs. How do you choose insulation materials? Here there are two main considerations: reducing the energy consumption of the house and reducing maintenance costs. The question of costs relates not only to paying less on bills for heating, cooling and air-exchange, but also very importantly to the kind of materials used. 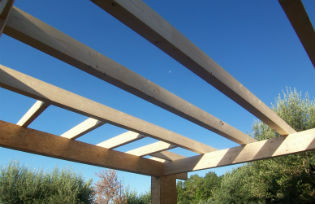 For reasons of sustainability, in our company we use natural renewable materials – so we build only in timber. 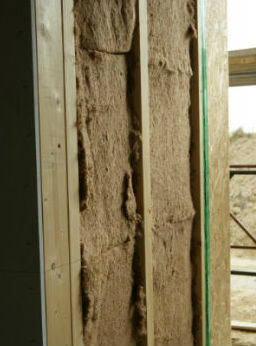 The material you use to insulate the walls is also crucial because you could say: “Oh well, what do we care? 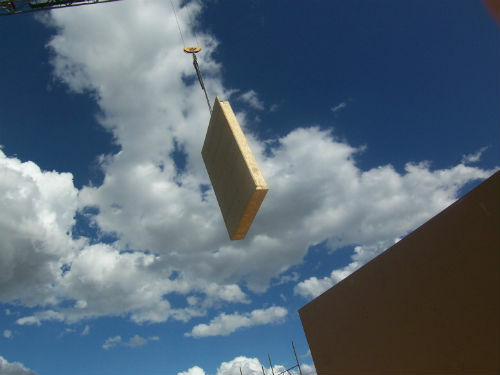 We can use polystyrene or some other cheap synthetic material in the wall cavities.” However it is vital to take into consideration the amount of energy used in the production of this type of material – for example producing one cubic metre of polystyrene requires one litre of petrol. The philosophy behind sustainable building places equal importance on both these issues. Unfortunately many people’s commitment to their sustainable home stops at the saving money on bills stage. If we want things to change in the future, natural renewable materials (like those from sustainable forestry) must be included in the price of insulation and building. In countries like Germany where the demand is high for renewable materials, they cost no more than any other standard materials. And the actual materials themselves? We use wood fibre. It’s a completely natural material which is a by-product from the timber industry. It is important to build exclusively in timber, thus even if the walls have different thicknesses the thermal reaction is much better. So we try to use wood as much as possible. Other insulating materials like glass wool can also work, but using this could lead to different thermal reactions, which can result in condensation. Via thermal bridges. Just imagine that outside it’s 0° and your house has a frame made of both steel and timber – if you touch them the timber feels warmer. A thermal bridge happens when two different temperatures come in to contact. For example when you are in the shower and there’s not enough air circulation in the bathroom, your mirror mists up – this same phenomenon can take place within the structure of the house, between the different building materials – the resulting condensation creates humidity which can become moisture. This is a very important element to take into consideration generally, not only in passive houses. Unfortunately a lot of modern and traditionally built housing doesn’t take this condensation into account. So you end up with moisture in the house that you can’t get rid of. So ventilation must be important? If you build a box with maximum insulation, what happens to the internal humidity produced by our bodies, the kitchen or the bathroom? The humidity that we introduce into the house has to be controlled and this is the second very important feature of the passive house. The controlled ventilation of the house – a super-insulated house requires a permanent air-exchange system. How does the air exchange system actually work? There are three elements to consider – you have to have fresh air and you have to control humidity. You also have to control the temperature of the house through cooling and heating. In the first house I built here (which is my house where I am sitting right now) we heat or cool the house through the walls. It is the same as under-floor heating but it is much more efficient because there is just a thin layer of render on top of it, the temperature can reach the room much better and much faster than heating up the whole floor. So there are water pipes behind the wall? Yes you can have a water circulation system – in certain areas, not everywhere. However the best way to achieve the highest standards of temperature and humidity control is through air exchange systems. And they are cheaper as well. Usually you have a gas boiler in your house to heat water. From the gas boiler you have pipes going to the radiators so you have the circulation of water. What we have are air-exchange machines – and instead of water pipes, we have air piped through the rooms. Every room is reached by a pipe carrying air in and another carrying air out. The air exits and enters through small grids or vents in the walls – the lower ones are where the air gets absorbed and the higher ones where the air floats into the rooms. It’s very soft so you don’t feel it – if you step out of the shower and you’re wet, you don’t feel a draught on your skin. And you don’t hear it either. In between rooms there are buffers so you don’t hear the noise of the ventilation. The air is circulated from one central pump room – it all starts there and reaches all the rooms. What happens if you live in a cold climate? If you live in colder climates, you have to control the temperature more carefully and create more warmth in the cold winters because using the air exchange system the house reacts more slowly than if you were to just turn on a fan or a radiator. But a super-insulated house never needs that much energy anyway. For example in my house there is no gas, no burner, no fan, nothing – the energy is produced by an electrically-operated heat pump. There are different ways of driving these pumps – depending on your location: you can use geo-thermal energy or you can use air from the outside which is put under high pressure. This air-to-air system creates enormous energy which ends in heat which can then be used to heat up water or air. You could also have air-to-water or water-to-water systems working on this same principal of the heat pump. So how do you power a sustainable house? With solar panels or wind turbines? As we have seen we use a heat pump which is powered by electricity. This produces warm air and warm water in the water tank for showering etc. The heat pump kicks in when the solar panels (which heat the water) are not working. For example in the climate we live in (central Italy) we only need 2 solar panels to heat 900 litres of warm water. This is for 85% of the year. Or if there are guests or 8 people needing to shower every day, then the heat pump provides for the extra requirement. The heat pump also works as a refrigerator, providing cool air in summer and warm air in the winter. It also controls humidity. For example, if it is a rainy day outside, the pump has a condensation element inside which regulates the humidity in the air that will be pumped around the house. It is a very simple machine, nothing hi-tech. Is the positioning of the house important? Yes, very. Before we start with solar panels and all the rest, we use big windows facing south and the orientation of the house is carefully calculated. If you can count on a south-facing orientation, the winter sun, which is lower, will be able to reach the windows. In the summer when the sun is higher, the house can be kept cool as the windows are protected by an over-hanging roof. Therefore you can just use the sun to heat the house and only when there is no sun do you need to resort to solar panels etc. You cannot always have a south-facing house with big windows, in which case more emphasis is placed on the other means of heating mentioned above. Is there an optimum size for a passive house? The size is not relevant for new-built sustainable houses. 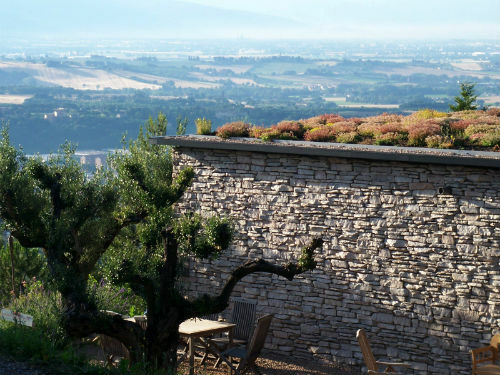 However the larger the external wall surface the harder it is to manage the temperature. The architecture is important, for example, if you have 4 families who want to live in a communal building you would design a single block with the smallest amount of external wall surface. Taking all these elements into account, you can build a sustainable house in any form or shape you like. What is the difference between solar and photovoltaic panels? If you build a house with the correct insulation you really shouldn’t need photo-voltaic panels, you should only need 2 solar panels to heat the water. Solar panels are for warm water production and photo-voltaic panels are for electricity production. Solar panels are like glass lenses and they heat the liquid underneath very quickly. Solar panels are more environmentally friendly – they work on a closed circulation system which heats the water in the house. What about making an older house more sustainable? You cannot achieve a passive house standard with an old house. With houses built between the 50s and the 80s which are not particularly attractive anyway, you can clad the outside of the house with insulating material. If you have an old stone house, you would want to see the stone on the outside, so the only thing you can do is to insulate the internal walls but this often reduces the internal space, as you need a minimum depth of 10cms of insulating material on each external wall. But this could also mean ruining beautiful internal stone walls, so it is not ideal. In these houses you can work on installing very heat-efficient windows. But rather than try to have a low-energy house, you need to think in terms of how to produce energy for this house in the most sustainable way. In this case, you try to get away from using fossil fuels for producing energy – you would go for solar panels, pellet or wood-burning heaters, so that you create energy in an alternative way. If you are renovating an old house, installing under-floor heating is a good energy saving option. Central heating wall radiators require the water to be heated to 60 degrees but under-floor heating only requires water temperatures of 33 to 35 degrees. Do sustainable homes obtain some sort of certification? Yes, in fact every home in Italy, where I live, must obtain an energy certificate that grades all buildings from A+ to G on their energy consumption (G being the lowest grade). The sustainable home will obviously receive one of the higher ratings. My house has an A+ gold which is very unusual, which you obtain if you use less that 30 KW hours per year, per square metre – we use less than 10KW. We obtained the “gold” rating because of the natural materials we used for the insulation. To give a concrete example, in my 260 square metre house which is a family home and an office, we have an average energy bill of about 35 euros a month for heating, cooling, air circulation and producing warm water. This 35 euros is for electricity. We also have photo-voltaic panels which produce 3KW of electricity so we produce more than we need, that is why we are allowed to call our house an energy “plus” house. Are there many houses being built to these criteria? I am sure we were the first to reach this goal in Italy back in 2007 but now we are seeing more and more people asking about this new technology. Part of the reason for this new trend is that people want to reduce their rising energy bills, but more heartening is the fact that people are starting to tell themselves: “It is up to us to save the planet”. Some small regions of Italy have taken up the challenge and are using sustainable energy for public buildings such as schools and hospitals – in Trentino for example. People have already become much more aware about energy wastage and pollution from cars, but the truth is that buildings waste much more energy than cars. So the word is getting around? Yes, but too many people are still asking me if it is really necessary to adopt this new technology – I am amazed that people should still be asking this question. The answer is clear! If the house is built using natural materials, we live better and run less risk of getting cancer – you have a higher standard of living and it costs less. Do you deal in modular “kit” homes? We do, but they are not complete “kit” houses. Generally in architecture if you go with the modular principle you can build more cheaply and they consume 50% less energy. We are against the idea that sustainable homes should be luxury items. Obviously if you find yourself an architect and you design a house to your own specifications, it will cost more so this is why the concept of the modular house is so attractive. 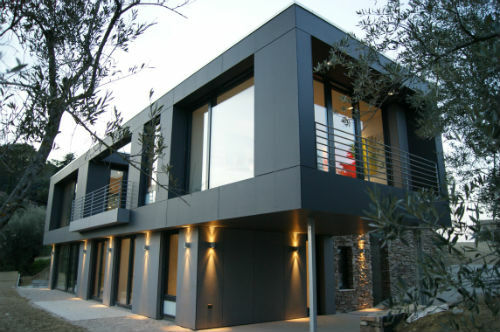 The positive aspect of the modular house is that it is flexible. You can move the walls around by 50cm or 1 metre or you can cut them away. These houses are excellent if you are trying to limit and manage costs. The modular house that we provide needs a special carpenter, as they are timber houses, but other companies sell modular houses that are genuine kits you can fit together. Interestingly I have recently come across some people who are making the wall panels of these modular houses out of recycled material. They started with the idea of building emergency housing for earthquake areas. These are houses you can put together very fast. This is a plus as usually with the kit houses you need a lot of people to put them together. They have designed a house that consists of about 38 pieces. It is very impressive. They have now upgraded these houses to be permanent housing and not just for emergencies. They are cheap and look good too, which is just what people expect from modular housing. This has also been used by mining companies who had to suddenly offer housing for 2,000 workers when they opened a new mine. Traditionally they use metal containers with added air conditioning but they are very hot. But these new emergency houses are much more efficient and made completely from recycled material. Our own vision of modular housing emphasizes sustainability and the use of natural materials which have been treated with non-chemical products. You can combine the efficiency of a modular home with a high quality of life. The timber houses we build, we complete in 6 months. The main walls are prefabricated in a factory, and they just ship them in and assemble them. It seems as though Germany has been a leader in this technology, but where else is sustainable technology taking off? Germany, Austria, Sweden and Switzerland are the countries that are leading the way in sustainable housing in Europe. They are very advanced in the United States too. We are building a house in Australia at the moment and because of the heat, you need air-conditioning everywhere which is a real challenge but sustainable technology is taking off there too. People are excited about it but it is unfortunately the exception to the rule, there is a long way to go.